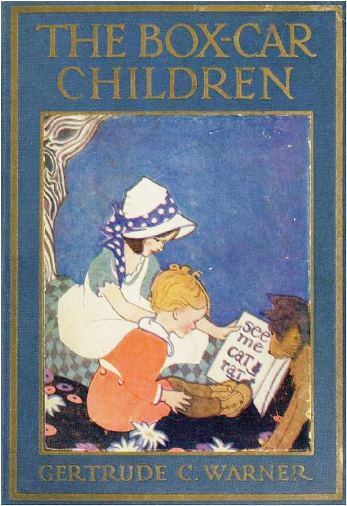 In 1924, Warner, a first-grade school teacher at the Putnam Grammar School, wrote the original book The Boxcar Children, as well as the next 18 titles in the series. Born in Putnam, Connecticut, on April 16, 1890, Warner was plagued by ill health from an early age. Unable to attend high school, Warner worked with a tutor to complete her education. Due to a shortage of teachers during World War I, the local school board asked Warner to teach first grade and she continued teaching in the same classroom for the next 32 years. An avid reader and writer from an early age, Warner wished to encourage these skills in her students. Inspired by her childhood experience living across the street from the railroad tracks and her dreams of living in a boxcar, she authored the first book in the series. Over the years, using input from her students, Warner honed The Boxcar Children to be fun and easy to read. It was rewritten in 1942 at an entry level to serve as a children’s school reader—and to entice the nonreader. The books have done just that, capturing the hearts of children who demanded more stories in the series. Warner’s original 19 titles are still in publication and, in all, over 100 books have been added to the series written by authors who built on Warner’s original titles. In 2004, The Gertrude Chandler Warner Boxcar Museum opened in Putnam, Connecticut, which is appropriately housed in an authentic 1920s New Haven Rail Road boxcar. “The Gertrude Chandler Warner Boxcar Children Museum,” 2017. Link. “Aspinock Historical Society Of Putnam,” 2017. Link.